Dr. Stanley J Berke, MD is a Doctor primarily located in Westbury, NY. He has 38 years of experience. His specialties include Ophthalmology. He speaks English. Dr. Berke has received 2 awards. The overall average patient rating of Dr. Stanley J Berke is Great. Dr. Stanley J Berke has been rated by 22 patients. From those 22 patients 8 of those left a comment along with their rating. The overall rating for Dr. Stanley J Berke is 4.2 of 5.0 stars. Doctor does not see patients unless they need surgery. I have been going to this doctor for a few years. He told me some months ago after a check that I should come back in 6 months. On the later visit, after tests I was taken to a new young doctor with 4 years experience, who he has hired. He was to check my eyes for glaucoma!! I told the attendant that I made an appointment to see Dr. Berke and would not see anyone else. I was told to wait. After 45 minutes I asked about him and was told Berke was busy with someone else. I told the checkout lady, who told me that I was to be seen by the new doctor since my prescription was being checked!! Totally the wrong purpose and doctor. I was told Dr. Berke now handles only surgery cases. This is new and he later confirmed on an email. I did not get the courtesy of being told in advance nor did he come out and tell me. I walked out and will never go back. I wasted over 2 hours in his office and did not get checked. Very pleasant and excellent. I have great results with my cataract surgery. Had cateract surgery several years ago. Opted to have one eye for distance and one eye for close, couldn't be happier. Read without glasses. Can see for driving without glasses. One happy camper. 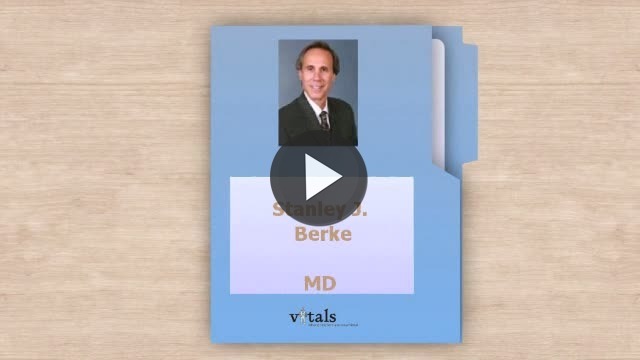 Take a minute to learn about Dr. Stanley J Berke, MD - Ophthalmology in Westbury, NY, in this video. Dr. Stanley J Berke is similar to the following 4 Doctors near Westbury, NY. Have you had a recent visit with Dr. Stanley J Berke? Select a star to let us know how it was.